Went for our usual wander yesterday. It was threatening rain when we left, but soon the sun was peeking through and it was a lovely day. After a snack at Tre Fantastico, Parkside we headed into Beacon Hill Park. 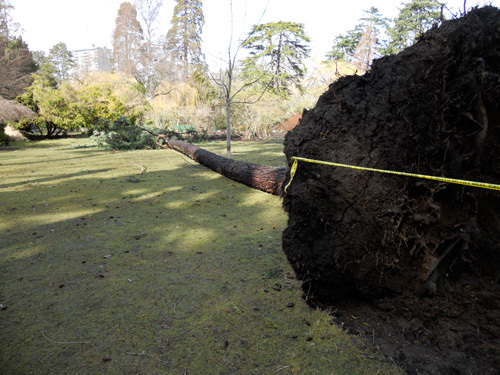 There had been quite a wind storm on Monday and it’s destruction was evident there. 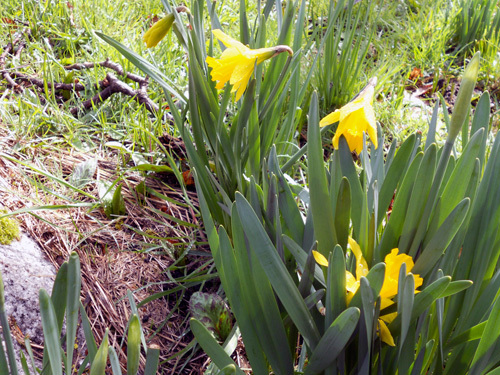 However, the daffodils abound and buds of new life were everywhere: spring is truly here! 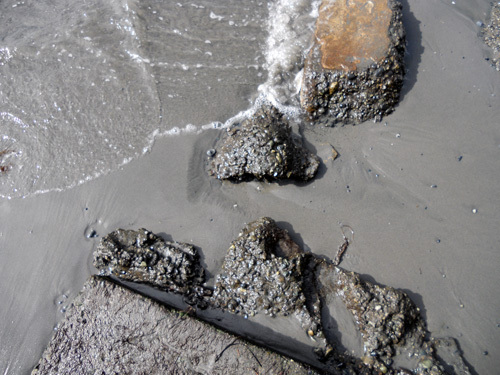 The tide was low, so once we made it to the beach we were able to walk almost all the way to the breakwater along the sand and over the rocks. On the way home we ended up at Dales Gallery for a visit with the owner. There’s a nice show of photos by Dag Goering on right now. Wouldn’t you know it, snow flakes began to fall! 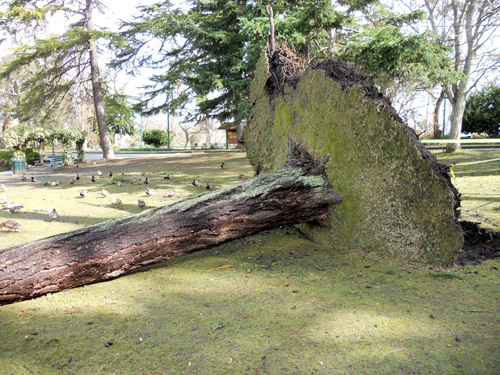 So sad to see such a beautiful tree fallen. Quite a noise I bet! 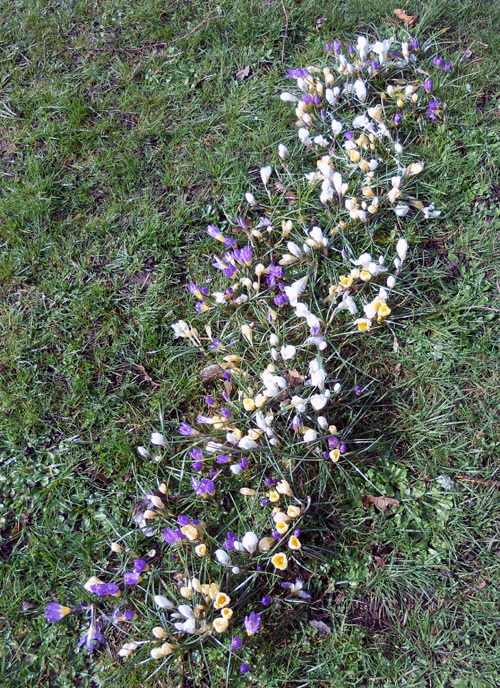 One of three strangely uniform patches of crocus; very pretty! 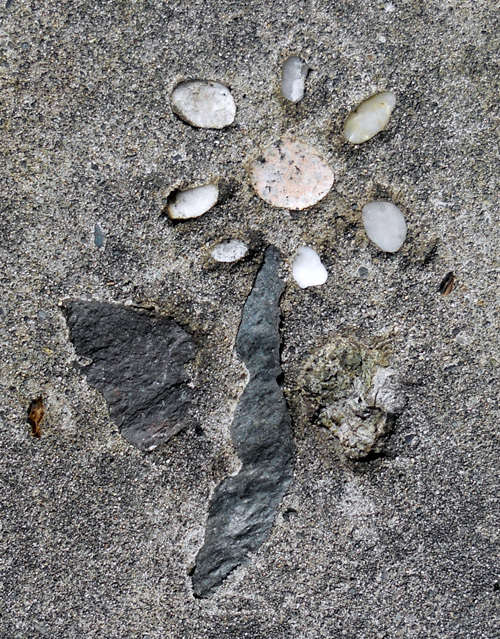 Found this little art on the top of a concrete wall on the beach. Many shades of gray; sand, stone, concrete. 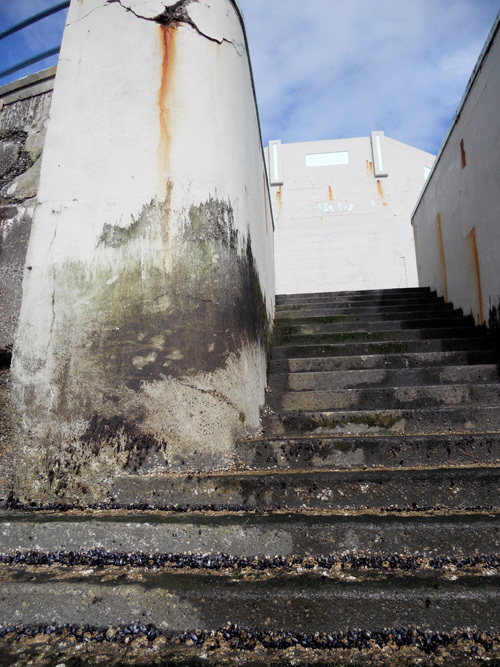 An old concrete stairwell leads from the beach to Dallas Drive not far from the breakwater.